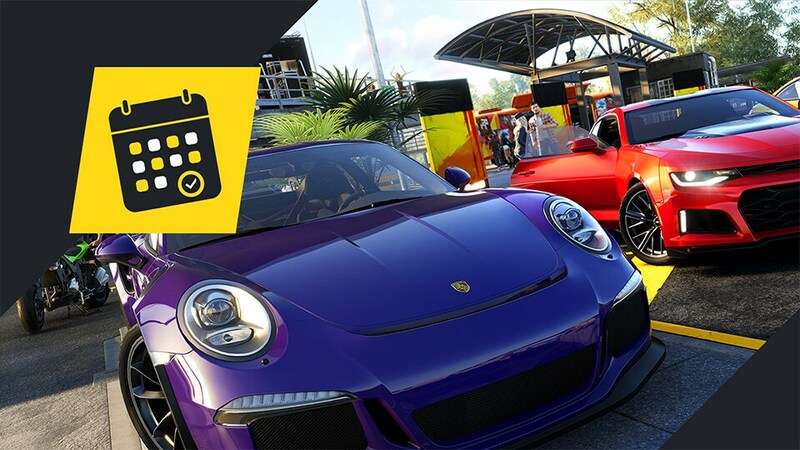 Since The Crew® 2 launched in June last year, we have delivered two fantastic updates in Gator Rush and Demolition Derby, and the new disciplines, features, and activities they introduced. One of our key objectives with this plan was to bring players regular, free updates while still surprising them with new content. In this light, we are happy to announce our new, more frequent activity release schedule. We know that having new activities for existing disciplines is important to players, so from January 30th we will be releasing brand new Street Racing events every week until our next major content update. The first drop will exceptionally deliver five events, but every subsequent weekly drop will introduce two new events. These will include one new Drag race and one Hypercar race per month, with the rest in the Street Race discipline. Alongside the usual monthly vehicle drops, TC2Weekly challenges, and Daily LIVE Contracts, we’re confident that this will provide a much better week-on-week experience for players in between major content updates. Additionally, our future Spring update will be fully focused on brand new features, improvements, and polish, to add even more depth and incentives to players’ journeys through Motornation. In the meantime, we’re thrilled to kick-start the new activity schedule off in splendid fashion with our first weekly event drop: The Openers! Be sure to check our article for all the details. See you on the road, Racers! For more information on The Crew®, check our official website. Join the The Crew® community on the ,forums and Reddit, and be sure to follow us on Twitch to never miss a livestream. All photos shared to our Gallery are viewable on The Crew® Hub. 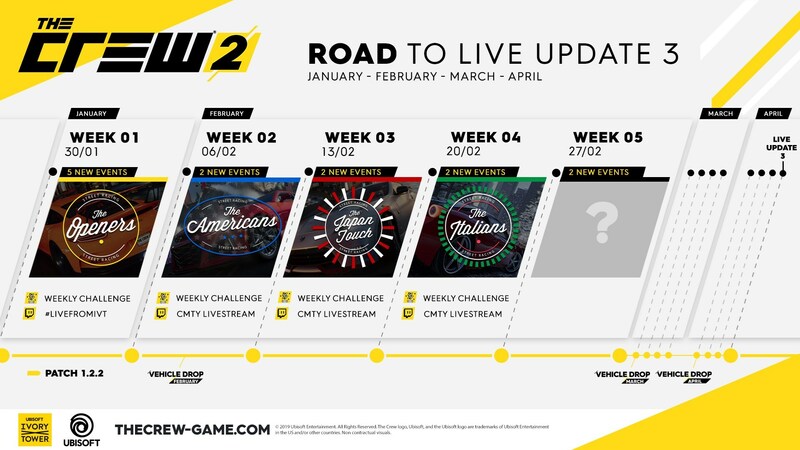 Videos highlighted by our in-game sharing tool can be seen on the official The Crew® 2 - Community Videos channel.